Your business is growing and it’s time to employ a member of staff. 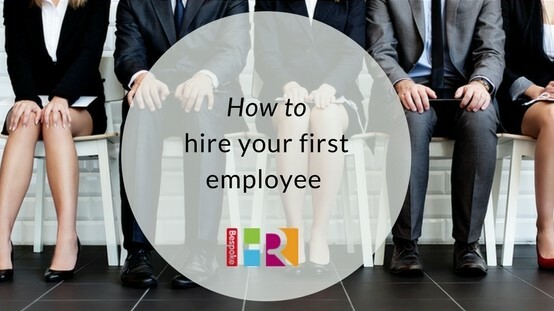 If your business so far has only consisted of you, hiring your first employee can be a daunting task and many start-ups worry about covering themselves legally. Create a job description: it’s essential you draft an accurate job specification so that you fully understand what is required from the employee from the offset. This will also help you shape appraisals and development in future. Think about the background / skills they would ideally have, and what the key day to day responsibilities of the role are. Do they need any specific qualifications? Should you recruit at a junior level and train/mould your employee, or would you benefit from hiring a candidate with more skills and experience to help your business grow? If you get this stage right, then the rest of the process will be a lot easier to manage. Read our blog on creating a brilliant job description. Establish the salary: how much can you afford to pay? You will need to weigh up the cost of offering a competitive market salary which is attractive enough to secure the type of candidate you want, against the running costs and profits of your business. For more junior roles, make sure you are paying above the National Living Wage (currently £8.21 as of April 2019). You should also consider whether you will include any performance-related bonuses / commission in addition to the basic salary, and whether you are able to offer any benefits that will attract good quality candidates. Advertise your role: using your job description, create an exciting and compelling job advert. Remember that this is your chance to really sell your business in addition to the opportunity and the role that this person will play going forward. However, make sure to not use any language which could be considered discriminatory, and fall foul of discrimination law (see our post on protected characteristics). Racial discrimination: if you need an individual who speaks a specific language for example, you must advertise for ‘Spanish speaking’ instead of ‘Spanish’ so as not to exclude other nationalities. Age discrimination: job adverts should no longer include requirements for experience based on years, as this could be discriminatory towards younger applicants. Be mindful of how you word the criteria for your ideal candidate. Sexual discrimination: make sure the job title is not gender specific (such as ‘fireman’), and unless it is a legal requirement to advertise for a single gender role you must leave it open. Disability discrimination: you must ensure your advert does not discriminate against people with any form of disability in its wording, and make sure your office is accessible for any potential candidates. Once your advert is complete, consider which are the best outlets for you to use to promote it. If it’s a flexible or part-time role, consider some of the specific websites which deal purely in flexible working recruitment or make sure that you market your role on any appropriate local boards or channels. Social media is a very powerful recruiting tool for small businesses. Use your LinkedIn profile or company Twitter profile to share your advert or post about hiring and do the same on any other social media channels you’re running – sharing in professional groups and circles can be a very effective (and budget friendly) way of finding candidates. 4. Shortlist candidates: use your initial job description as your guide when screening CVs and applications. Keep returning to it and think about your business, it’s values and brand, when sourcing the best candidates. Do their qualifications and experience fit the role’s key criteria? Are they showing the right attitudes as well as the right skills? Are they going to be happy working in a small business/team environment? Are there wider experiences that will give added value to your organisation beyond the job description? 5. Hold interviews: initial interviews no longer must be face to face; if you’re pushed for time think about hosting the initial interviews via phone or virtual meetings via Skype to help save your resource and get things moving quicker. You can then meet the candidates in person for further interviews if you think they could be a potential match for your business. Think about creative ways of assessing your candidates – work samples or simulations; problem solving tests; personality tests; or even just choosing between structured or unstructured interview formats. Or you could use a mixture, depending on the role! Unconditional – once a candidate has accepted an ‘unconditional’ offer, they are in a legally binding contract of employment. Conditional – If you make a ‘conditional’ offer of employment, this can be withdrawn if the person doesn’t meet the employer’s conditions (eg: following satisfactory references). Give a set date for acceptance: Employers will also give a set date by which the candidate must accept or reject the offer, and are within their rights to withdraw the conditional offer regardless of satisfactory references if the candidate does not reply by that date. ‘Good’ offer letters should include the following information: job title; who the role reports to; place of work; probationary period; salary; pay interval; hours of work and holiday entitlement. It is also likely to say when and where the candidate should report to on the start date for the role. Look out for any gaps in employment history on their CV: make sure you explore this in the interview to fully understand why they may not have been working, and if there is a reason for concern. Don’t be afraid to challenge anything on a CV which raises alarm bells. Look at the length of service in previous jobs: have they job-hopped? If so, find out why in the interview. Job hopping is not necessarily a negative thing, but it’s good to understand the reasons behind frequent switches in employment. Check their social media presence: whilst this used to be considered ‘sneaky’, it’s now common practice. Is their profile appropriate as your future employee? In addition, check out their LinkedIn profile – does it match their CV and do they have any recommendations from credible sources? Sometimes even the suitability of an applicant’s email address can also shed light on what sort of candidate they are. Establish working days and hours: it may sound obvious, but make sure they can fulfil the time required for the role. If the job includes occasional overtime or additional hours, make sure you flag this from the outset to avoid any issues further down the line. Check work permits: if employing applicants from overseas make sure they have the relevant work permits – you don’t want to be caught out after you’ve spent the time and money recruiting but be mindful of potentially discriminating against a candidate on a racial basis. Request 2 references from your candidate: you can follow up directly with the referees, using a compliant reference request template available at a small cost from an HR consultancy or online. Be aware also that Referees are under no obligation to supply a reference or if they do then there is no rule about how long or detailed it has to be. A refusal to provide a reference could be a warning sign for you, however be aware that some organisations have a policy of not supplying references at all or will only supply partial references because of the risk of legal action. Full Reference Check Services: If the role is critical to the success of the business, you may opt to outsource your reference checks to a specialist third party. Checks can include UK Right to Work; Highest Education; Basic Disclosure; 5 year employment history and UK Credit Check. 8. Create a contract: A contract of employment is an agreement between an employer and employee and is critical as it is the basis of the employment relationship. You can download Employment Contract templates from online sources such as ACAS, or purchase (at a small cost) compliant and up to date templates from an HR consultancy and “bespoke” to your requirement. Most employees are legally entitled to a Written Statement of the main terms and conditions of employment within two calendar months of starting work. This should include details of things like pay, holidays and working hours. It may also include non-compete clauses or restrictive covenants. Many small companies opt to work with an Independent Financial Adviser to set up their Workplace Pension. Others may subscribe directly to NEST, the National Employment Savings Trust which was set up by the government to make sure that every employer would have access to a high-quality workplace pension scheme for auto enrolment. Even if you just employ one person, you must provide a workplace pension for your employee. 9. Create a Company Handbook, policies and procedures: as you grow you will need to create these so that your employee understands your business, and you keep yourself protected legally. Handbook templates can be purchased from an HR Consultancy and be made bespoke to your requirement at a small cost. Running your own businesses and managing your own employees can be a hugely rewarding exercise – just make sure that you understand the responsibilities that go with it! Recruitment mistakes can be very costly for small businesses, from a financial and time perspective. Want advice on hiring employees? We would be delighted to help.